The original Telok Ayer Market was built in 1825 as a wet market selling fresh produce, fish and meat and extended extended over the water. 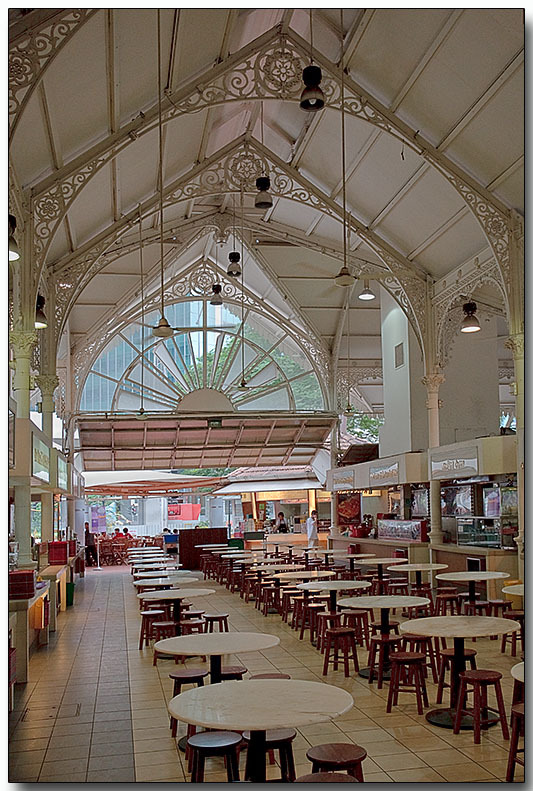 It went through several reconstructions, disassembly & storage and relocations, ending up as the Lau Pa Sat (old market) Food Centre. The unique octagonal building maintains its 1879 Victorian design features, including beautiful cast iron columns and scroll work from the early 1920s. The food is excellent, offers a wide variety of local Singapore and South East Asian cuisines at affordable prices.